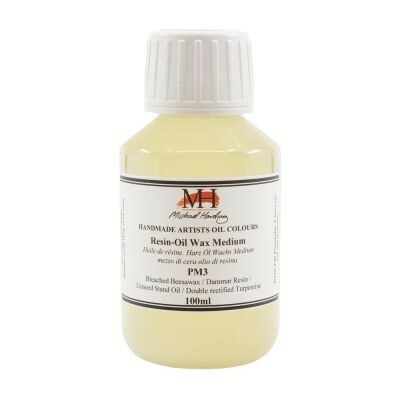 Michael Harding’s Resin Oil Wax Medium takes its form as a soft painting paste. It is formulated from a pure bleached beeswax mixed with Linseed Stand Oil and Dammar Resin. 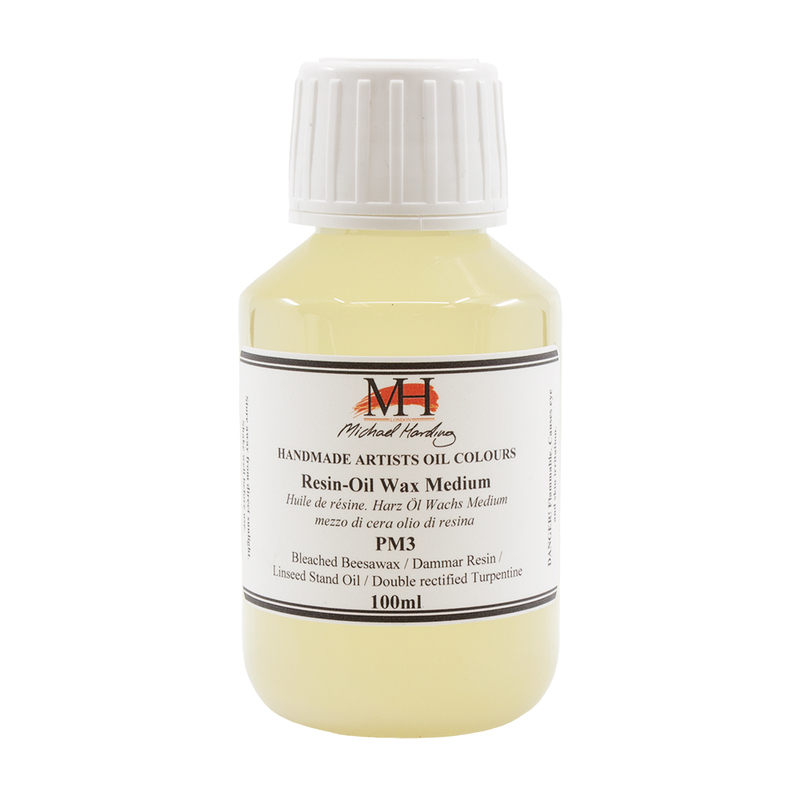 This medium gives your paint layers a gentle impasto texture and creates a satin sheen. You may notice settling in this medium. If settling occurs allow the jar to stand in hot water before using, then stir or shake the contents until the mixture is dissolved and clear.